Genea-Musings: Treasure Chest Thursday - 1696 Marriage of Timothy Hammant and Melatiah Clark in Boston, Mass. 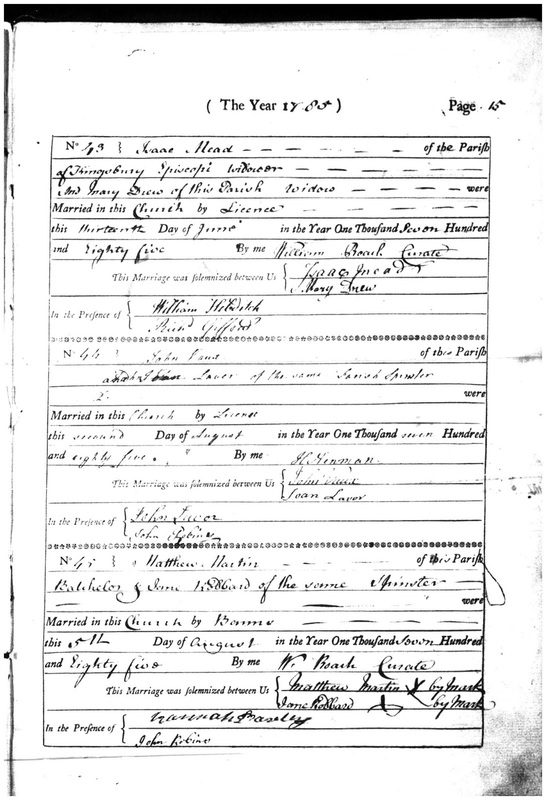 Treasure Chest Thursday - 1696 Marriage of Timothy Hammant and Melatiah Clark in Boston, Mass. Timothy Hammant & Melatiah Clark w^r mar^d } Jan^y 19 1696. Massachusetts, Town and Vital Records, 1620-1988, indexed database and digital image, Ancestry.com (https://www.ancestry.com), "Boston > Births, Marriages, and Death," image 3041 of 60705," Timothy Hammant and Melatiah Clark marriage entry, 1696. This is a Derivative Source record, with Primary Information and Direct Evidence of the birth date, birth place, and parents names. The original source was probably a handwritten Boston town record that is no longer available. 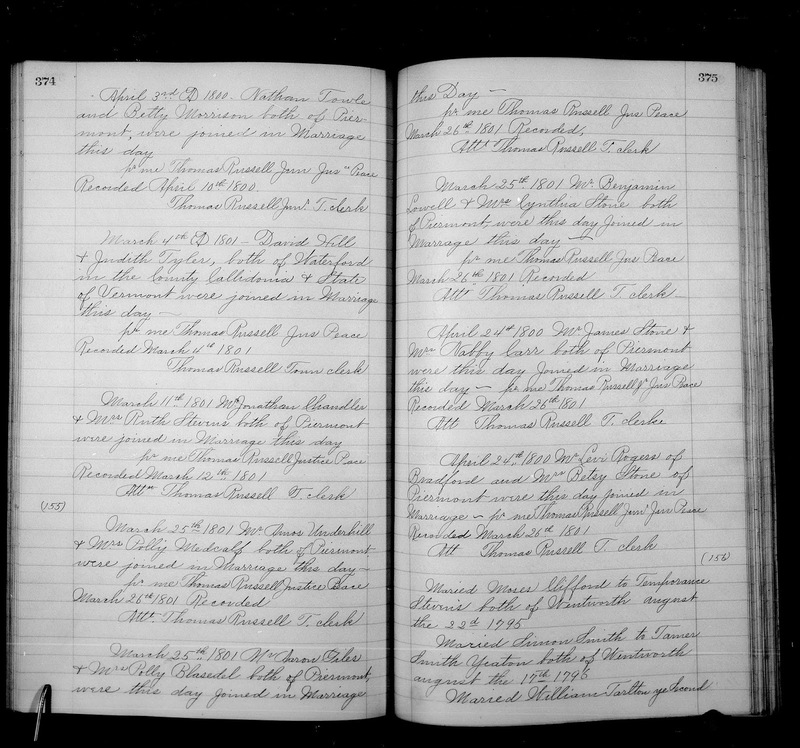 There are at least nine derivative versions of this record in this database, ranging from handwritten to typed entries. 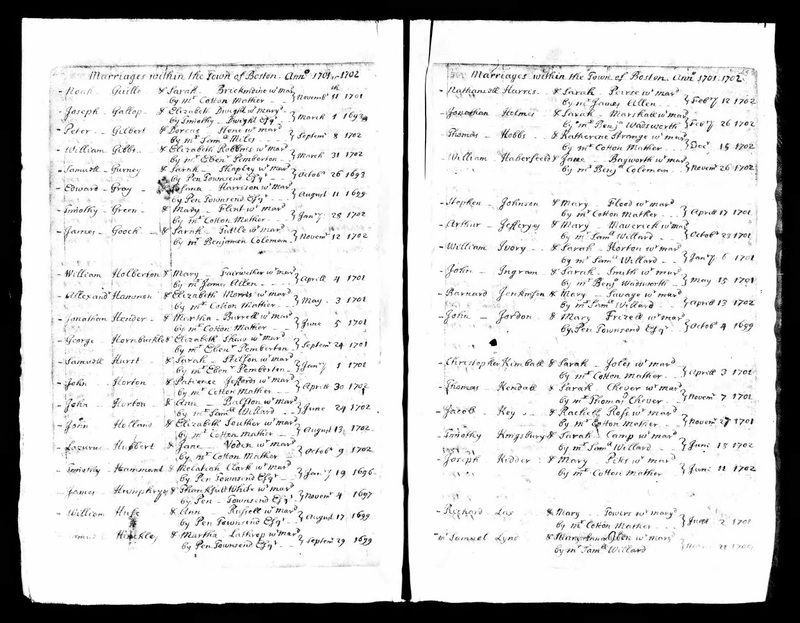 Timothy Hamant (16671718) was the son of Francis and Sarah (--?--) Hamant of Medfield, Massachusetts. Melatiah Clark (1674-1747) was the daughter of Ephraim and Mary (Bullen) Clark of Medfield, Massachusetts. 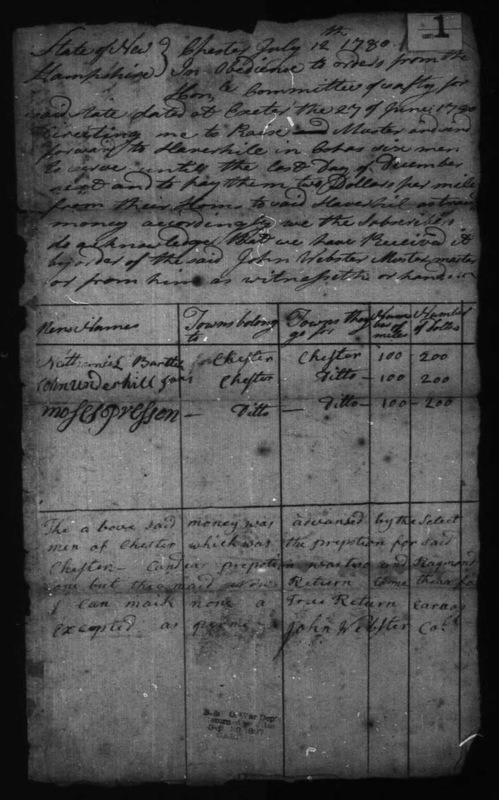 They are my 7th great-grandparents through their son Timothy Hamant (1699-1774), who married Hephzibah Clark (1699-1791), and through their daughter Melatiah Hamant (1704-1751), who married Michael Metcalf (1706-1771) in 1728. Timothy and Melatiah (Clark) Hamant are one of the couples that are ancestors of both my mother and my father, making them 7th cousins.